July 4, 2017 – Although the topic of neighbouring rights may appear to have been overshadowed by other pressing regulatory issues recently, the collaboration between CAPACOA and Re:Sound does continue (and rather well). 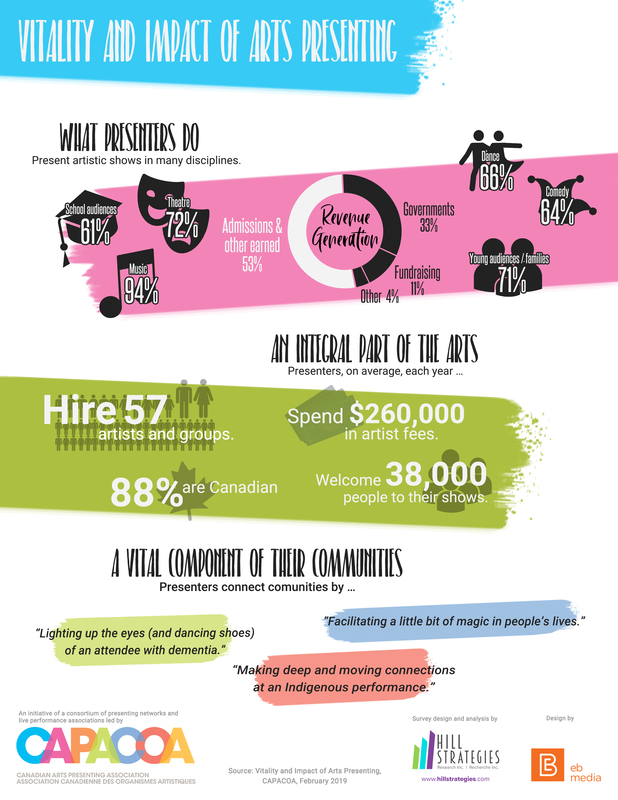 In January, we held an Arts in Perspective conversation with Re:Sound and SOCAN on Copyright and Neighbouring Rights in the Performing Arts. Discussions revolved around the Senate report on the Copyright Board, the upcoming statutory review of the Copyright Act, and the future of collective rights management. In May, Re:Sound, CAPACOA and the Canadian Asssociation of Fairs and Exhibitions (CAFE) coordinated answers to an Order of the Copyright Board raising questions about the Re:Sound Tariff 5.D for festivals, exhibitions and fairs. The Settlement Tariff 5.D 2015 was designed jointly by CAPACOA, CAFE and Re:Sound to "streamline the reporting structure, to treat all festivals, exhibitions and fairs on equal footing, regardless of their scope, to make it easier for festivals exhibitions and fairs to report, and to enable them to more accurately project their anticipated royalties for budgetary purpose." This message was reinforced to the Copyright Board by all three partners in their answers. CAPACOA's answer to the Copyright Board also reiterated our commitment "to negotiating – and to fine tuning, if found to be necessary – tariffs that are simple, efficient, and fair to both licencees and right holders". Today, CAPACOA filed a letter with the Copyright Board seeking objector status on the proposed Re:Sound Background Music Tariff 2018. This status will position CAPACOA as a key stakeholder in the certification process, and will give us the opportunity to work collaboratively with Re:Sound to introduce enhancements and to fast track the certification of the tariff. 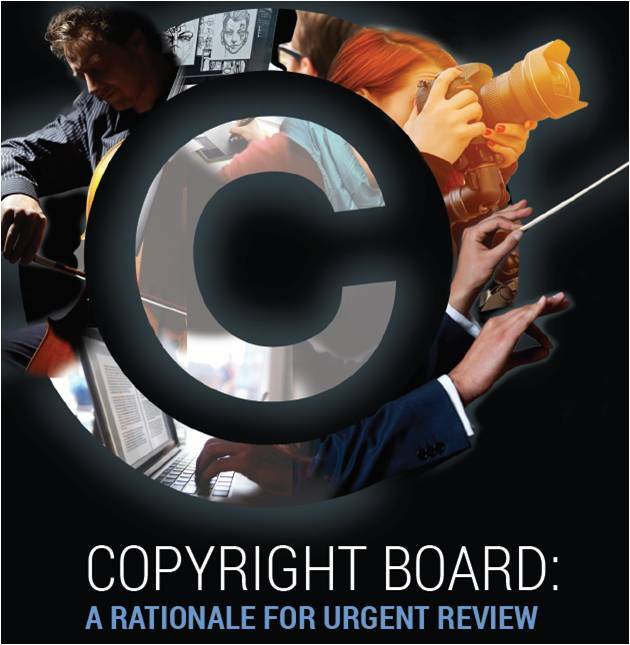 According to the Senate Report entitled Copyright Board: A Rational for Urgent Review, the certification of a neighbouring rights or copyright tariff can take up to seven years (see the infographic below). Such delays effectively deprive right holders of precious royalty revenues. In the absence of a short-term solution to reduce the backlog at the Copyright Board, the certification process can be hastened through closer upstream collaboration between collective rights organizations and industry associations representing music users. "The collaboration between CAPACOA and Re:Sound is truly setting a new standard as to how neighbouring rights and copyright tariffs ought to be developed and certified," affirmed Sue Urquhart, Executive Director of CAPACOA.